How Stressed Are You???? Stressed to The Max!!! Do you have chronic pain or a chronic condition and are tired of taking prescription drugs? Then biofeedback is your answer! 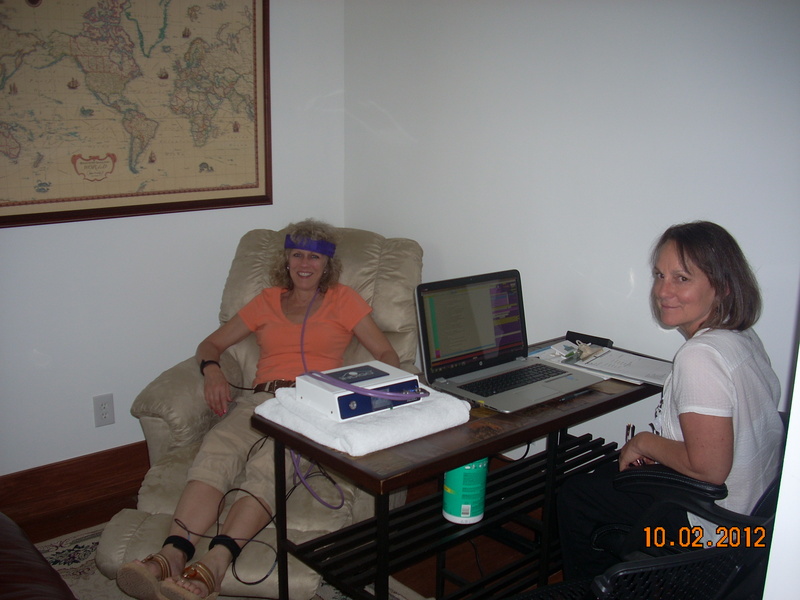 Indigo Biofeedback is quantum science. It’s similar to an EEG of EKG. It goes to the cellular level of the body. It identifies acute and chronic stress through micro current (electromagnetic waves) impulses received from the body. It measures the stress through perspiration, respiration, blood flow, spinal flow and brain impulses. Once the stress is measured it is able to evaluate the body for deficiencies, allergies, emotions, toxins, chromosomes, hormones, vitamins etc…. Once the stress areas are determined, impulses are sent into the body to help retrain those areas to react to the stress in a more positive way. The human body is able to heal itself if the right conditions are provided. Stress leads to inflammation … inflammation leads to illness – especially chronic illness. Quantum Indigo Biofeedback offers therapies that are efficient, personalized, non-invasive, drug free, painless – with little or no side effects. Return your body to it’s original harmony so it can heal itself naturally.